Say what you want to say about Ben Affleck as an actor, there is no denial that the man is a talented filmmaker. His resume as a director includes the critically praised and award winning Argo, the gritty and exciting tale of The Town and the film adaptation of novelist Dennis Lehane’s Gone Baby Gone which was also a critical darling. So when it was announced he was attached to direct another one of Lehane’s novels I knew I had to see this movie regardless of how it turned out. Live By Night on the surface looks like a typical crime drama but the novel brings up the topic of the prohibition, the great depression, racism and religion. With all these themes this would present Affleck with an exciting challenge. 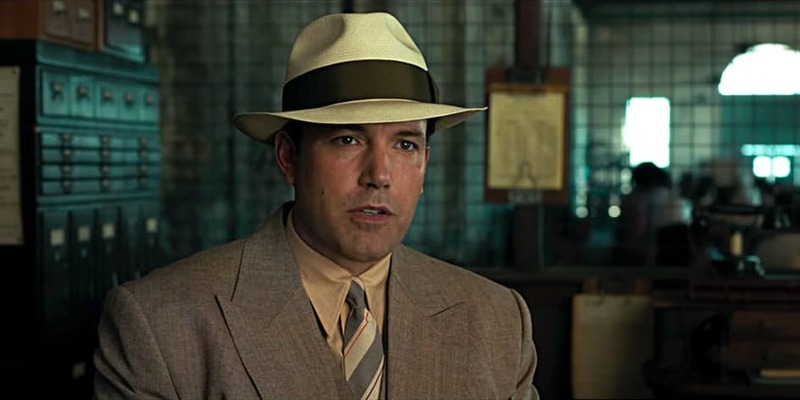 Live by Night follows Joe Coughlin (Ben Affleck) a former World War I veteran of Irish decent who turns to a life of crime after seeing no benefits of making an honest living. He starts out as a relatively low-level mobster in Boston during a 1920s America that everyone remembers as the great depression and prohibition era. He slowly makes a name for himself with the aid of his partners in crime including Emma Gould (Sienna Miller) the mistress of notorious Irish mobster Albert White (Robert Glenister) who he falls in love with and his father Thomas Coughlin (Brendan Gleeson) who is on the other side of the law. 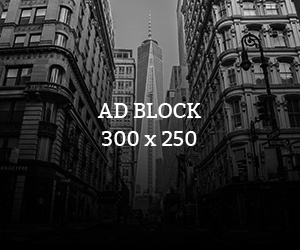 After ripping off mobsters and robbing them in poker games, Joe decides to pull one last heist and run into the sunset with Emma, but Albert hears about his plans and double crosses Joe, nearly killing him in the process. Joe Coughlin & Dion Bartolo ( Chris Messina) roam the streets of Ybor. After receiving some serious punishment and a nasty fall from grace, he decides to start over by forming an alliance with Italian mob boss Maso Pescatore (Remo Girone), an enemy of White. Coughlin is assigned to Florida with his former partner Dion Bartolo (Chris Messina) to help Pescatore build an empire that deals mostly in rum trade in Ybor. During the process he meets a Puerto Rican woman named Graciela (Zoe Saldana) who he forms a romantic relationship with and also makes a truce with the local lawman Chief Figgis (Chris Cooper, who is willing to overlook his misdeeds under certain conditions. Along his journey back to the top Coughlin will meet trouble in the guise of the Ku Klux Klan and Chief Figgis’s daughter Loretta (Elle Fanning), an innocent teen who plays role in whether Coughlin’s efforts and future plans for himself will succeed. With an interesting premise and a cast full of heavy hitters like Ben Affleck, Sienna Miller, Elle Fanning, Zoe Saldana, Chris Messina, Chris Cooper, Brendan Gleeson and many more; the movie has all the right ingredients to become another highlight in Affleck’s impressive filmography. On a technical level Ben Affleck shows us why many consider him to be one of the best directors in Hollywood. The cinematography is beautifully done the visuals are varied and lush. From the cold, dark and dreary streets of Boston to the sunny beaches and swamps of Florida to the fancy suits and dresses and music of a 1920s America, the movies aesthetics are top notch and will keep you smiling on the artistic front. The film has some good action set pieces like the opening bank heist and subsequent car chase and the film’s final shoot out which was just as exciting. As good as these scenes were on a technical level there weren’t enough of them which could have helped alleviate some of the film’s short coming I will get to in a moment. The film’s supporting cast do a decent job across the board. Sienna Miller presents herself as an interesting character that proves to be Joe’s Achilles heel. 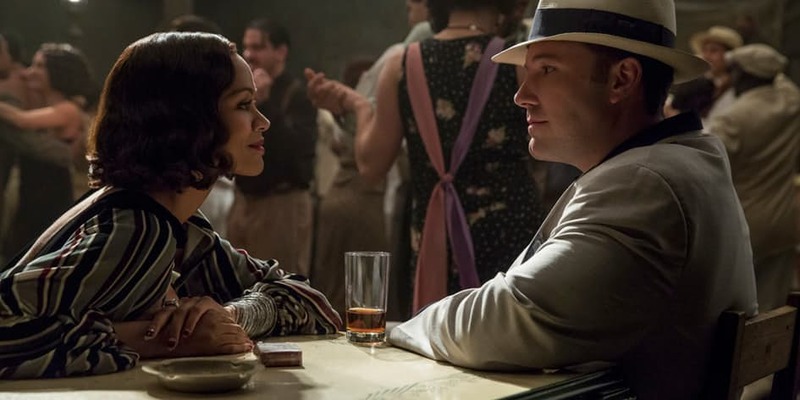 Zoe Saldana’s turn, as Graciela is a good one as she presents herself as a viable foil to Joe’s cold ways as she shows him that there is more to life than crime. Brendan Gleeson who plays Joe’s father has some great scenes acting as his son’s voice of reason despite how little screen time he gets compared to everyone. One of the most memorable characters in the film is without a doubt Elle Fanning’s performance as Loretta Figgis. She has an interesting role and plays a key cog in the story’s progression and of all the supporting characters, it is her arc that is the most complex one that actually shows glimpses of the film’s potential that it never realizes. 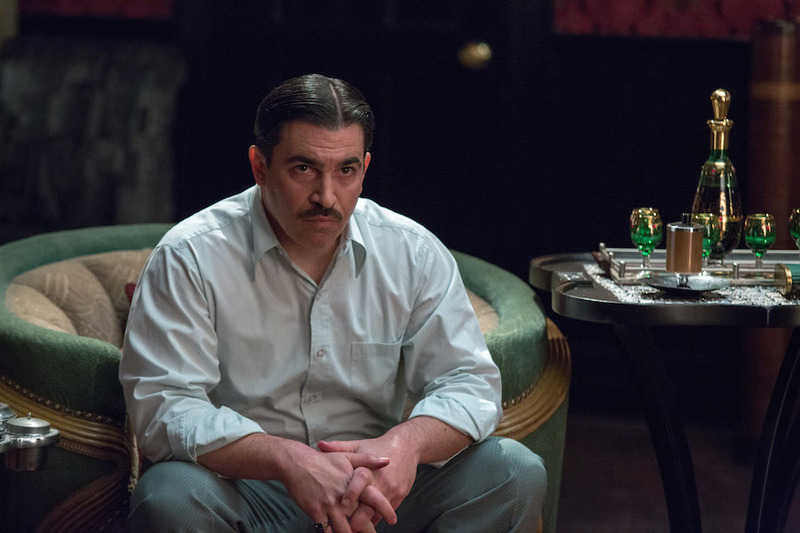 A personal favourite of mine was Chris Messina’s showing as Dion Bartolo, Joe’s best friend and right hand man who at a flip of the coin can provide some of the film’s laughs or instigate some of its most brutal moments even though some might argue this makes his character a victim of the film’s inconsistent tone. Dion is the extremely violent comic relief of the film. Even though I haven’t read the novel I feel like the story material was too dense to be included into a 129 minute long movie. The movie piques your interest with various themes like the great depression and its effects, the prohibition of alcohol, religion and racism. Unfortunately the movie rushes through these facets and they are not properly addressed and their pay off doesn’t feel satisfying for the most part. In other words the movie feels like revision notes of the novel as Affleck wanted to shove everything the book had into the movie rather than putting in the necessary elements that would have made it appropriate for a screen adaptation. Ben Affleck is usually skilled at pacing his movies but he fails this time round. The first 30 minutes of the movie that are spent in Boston are exciting and exhilarating but by time Joe Coughlin moves to Florida the movie slows down to a crawl and loses its momentum and makes a drastic tonal shift which hurts the movie’s identity during the process. Then near the closing moments it changes gears again, which makes the pacing very uneven. Ironically the film’s lead Joe Coughlin who is played by Affleck is the physical manifestation of the films problems. He is functional but underdeveloped. The role doesn’t push Affleck to his limits like his turn in The Accountant or the other lead roles he played in his previous directorial efforts. Coughlin could have been a very unique character but at the end of the day he becomes a character that was painted with broad strokes which in turn makes him another mob movie cliché that can’t hold a candle to the Carleone family of the Godfather series or Tony Montana of Scarface. Loretta Figgis (Elle Fanning) is a key component of the story. 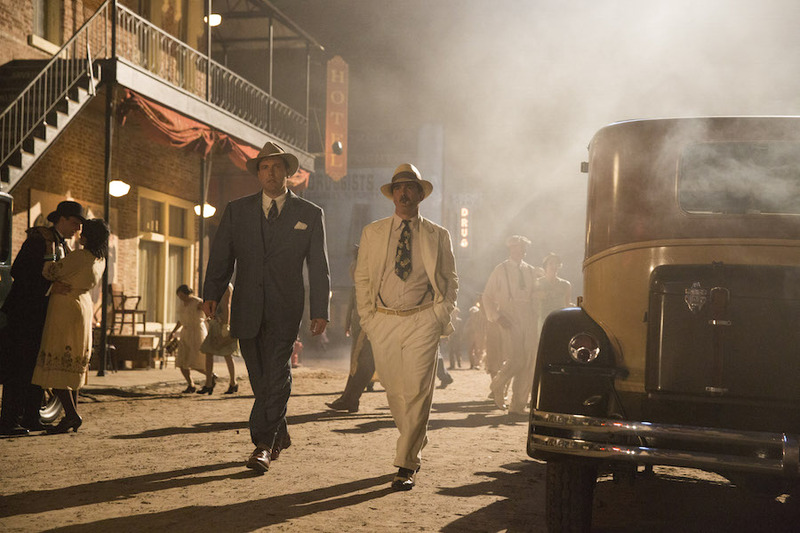 Live by Night has the fragments of a great movie in it but an average performance from its lead role, poor pacing and inability to address its themes in a timely manner ensures that this visually stunning picture never reaches its potential. Not a bad movie but definitely not a great movie by Affleck’s high standards.